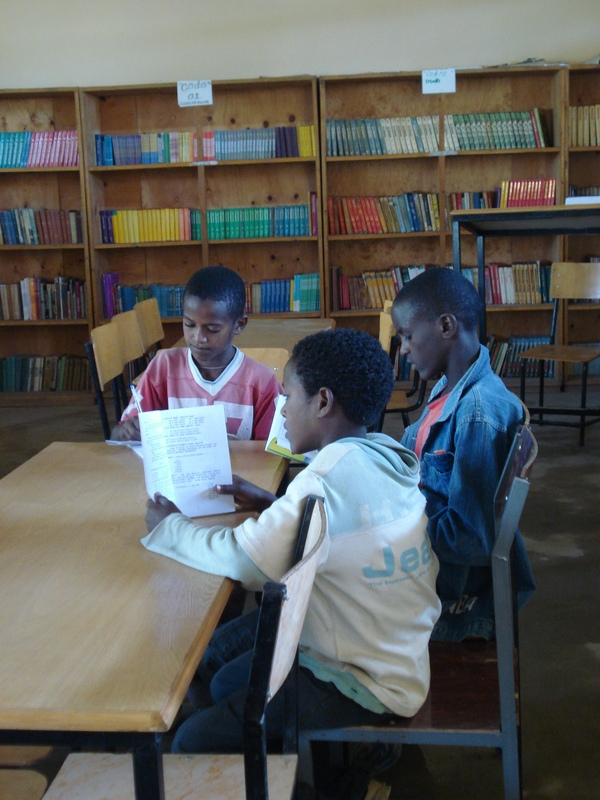 As we wrap up our first year serving the children of Mekelle, it is heartwarming to see how our work has had a direct impact by looking at the visits by library users. Nearly 40,000 visits have been made to the library. Males still outnumber the females, but the girls are well represented. The students use the library for both homework assignments and recreational reading, as well as for a quiet place to study. Late afternoons are especially busy as is Saturday, perhaps, the busiest day of the week. We are especially pleased with the number of small children who participate in our story hours. These times are designated for our small children age 1-6, who are sometimes accompanied by a parent. In addition to story hour, the children also have an opportunity to learn new arts and crafts. 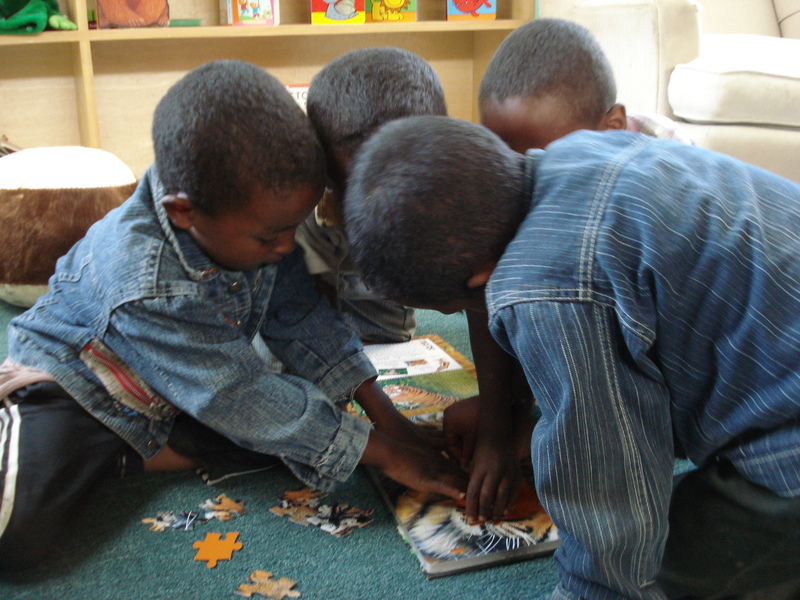 Learning teamwork by putting a puzzle together. For the older students, we have been pleased to conduct training in the Media/IT lab. Students have studied basic computer skills as well as studied the rudiments of word processing, spreadsheets and design. Perfecting skills in a library database. We think you will agree that it has been a very good year!